The Eastern Regional Model (ERM) is one of five models that comprise the Authority’s Regional Modelling System. 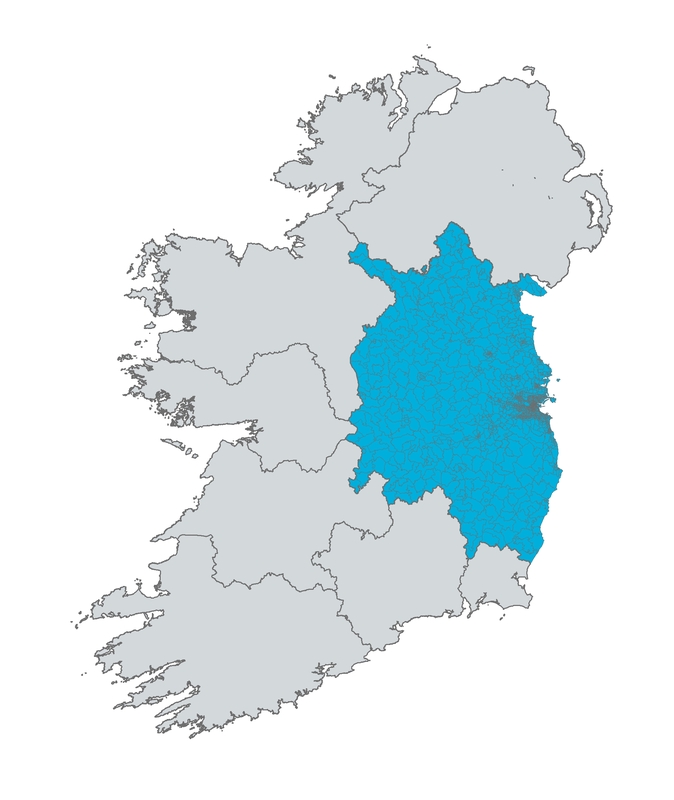 The ERM covers the whole of Ireland with a focus on the counties within Leinster and the Greater Dublin Area (GDA). These areas are represented by 1844 detailed zones with travel between these areas and the rest of Ireland represented by 7 external zones. The structure of the ERM is shown in the images below, click on each image to see it in more detail.